M.A. 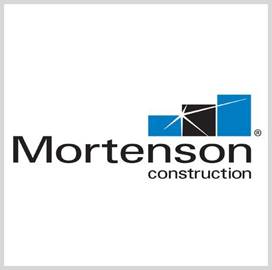 Mortenson has received a $45.2M modification to repair an explosive handling facility at Naval Submarine Base Kings Bay, raising the original contract's total value to $95.4M. The company will repair wall, power, lighting, in-haul rail, constant-tensioning and infrastructure systems under the option-based modification, the Department of Defense said Friday. The U.S. Navy immediately obligates the entire modification amount taken from operations and maintenance funds allotted for fiscal year 2019. Work will take place in Kings Bay, Ga., through March 2022. The service branch awarded the original contract in September 2018.